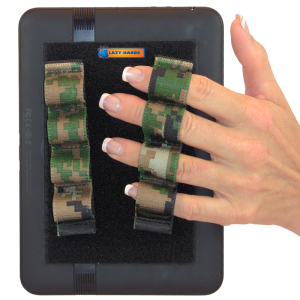 GRIP YOUR GEAR with LAZY-HANDS Thumbs-free grips for your Kindle, Nook and other eReaders or small tablets. You can even put LAZY-HANDS on your cover or case for your reader. Grip it so you don’t drop it! 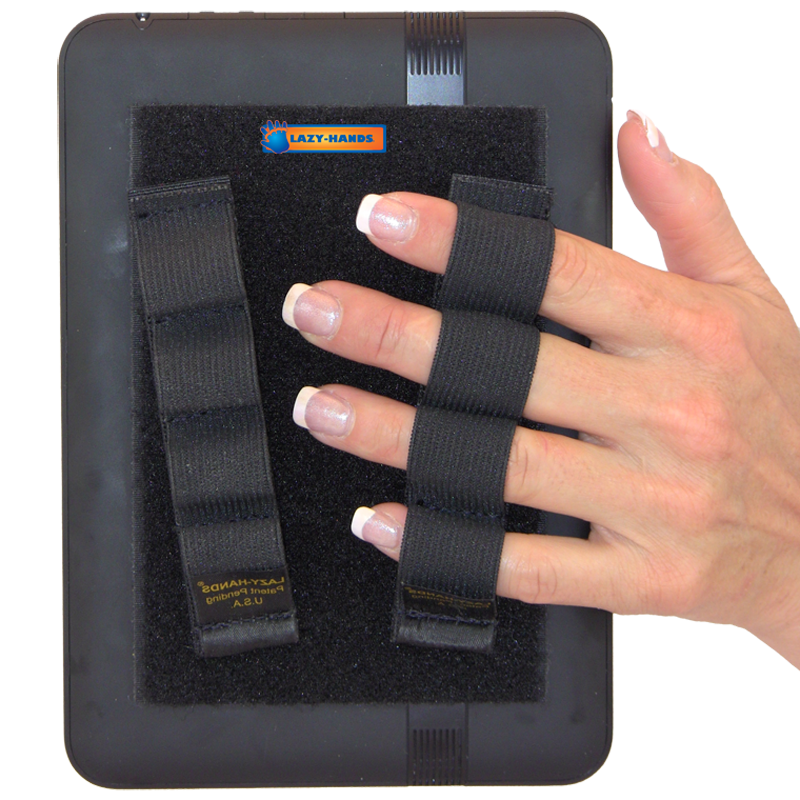 LAZY-HANDS Thumbs-free grips for your Kindle, Nook other eReader or small tablet. Helps to prevent hand cramps and dropping. Allows for grip-free use and comfort. Removable and repositionable finger grips. Thumbs-free, ergonomic, comfortable and very secure hold. For one- or two-handed use. Choose one grip style if you don’t switch hands. Choose two grips style if you are ambidextrous and switch hands a lot. Includes 2 thumbs-free grips and 1 adhesive-backed loop sheet. Small size for children or people with extremely small and slender fingers. XL best fit for extra-large-sized fingers.